Well, it’s now October in the NC high country. Leaves are beginning to change, and a chill is slowly pushing the heat away, as temps now struggle to reach 70. These are some of the best hiking conditions Mother Nature will have to offer. On this day, the 3rd of the four waterfalls I visited was Crabtree Falls. 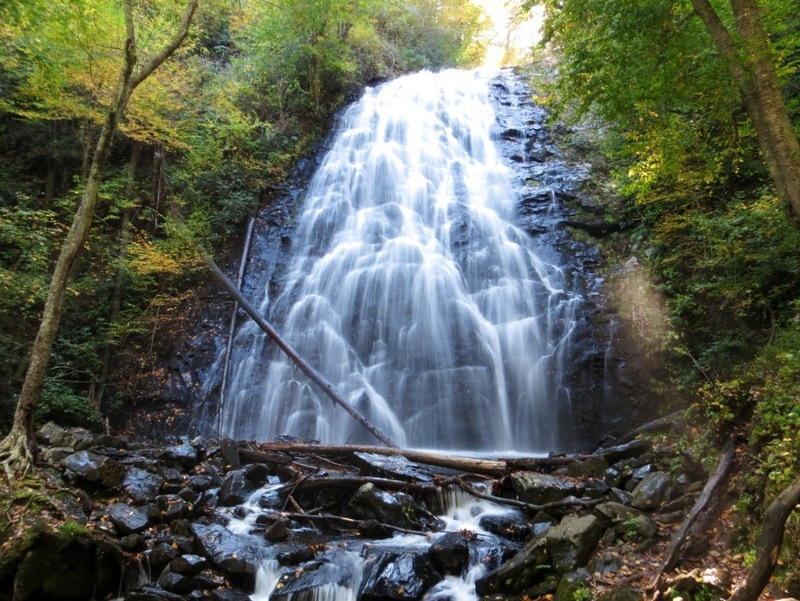 Crabtree Falls is not just a Waterfall but an entire BRP region with a large campground, coffee/gift shop, trails and picnic areas. 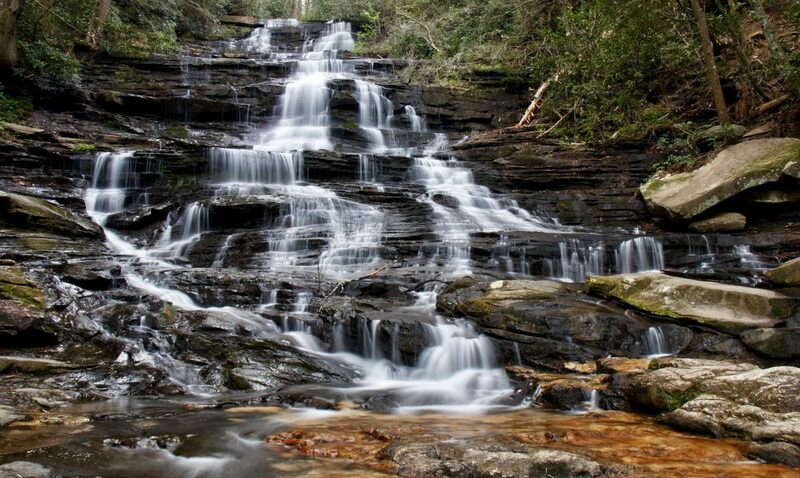 The highlight of course being the 70 foot high Crabtree Falls itself. The trailhead for this starts in the campground just past MM 339 on the BRP. The trail itself is mostly all downhill to the waterfall. Just down the hill from the trailhead, another trail meets from the left. Stay straight, this trail to the left is the one you will be coming back on, if you choose to make the loop. As you get closer to the falls , there will be 3 fairly long, steep, rock stair cases. They are slippery when wet. Also, when it has rained recently, like this hike, the trail itself is a creek. This adds to the risks, but also adds to the rewards of a prettier, higher volume waterfall! At 0.9 miles, the trail levels somewhat as you reach the beautiful destination. A bridge crosses the creek just in front of the falls, providing an excellent view or photo op. Some better close up shots can be obtained by scrambling up either side, with the right side being more accessible. There are some fallen trees at the bottom. 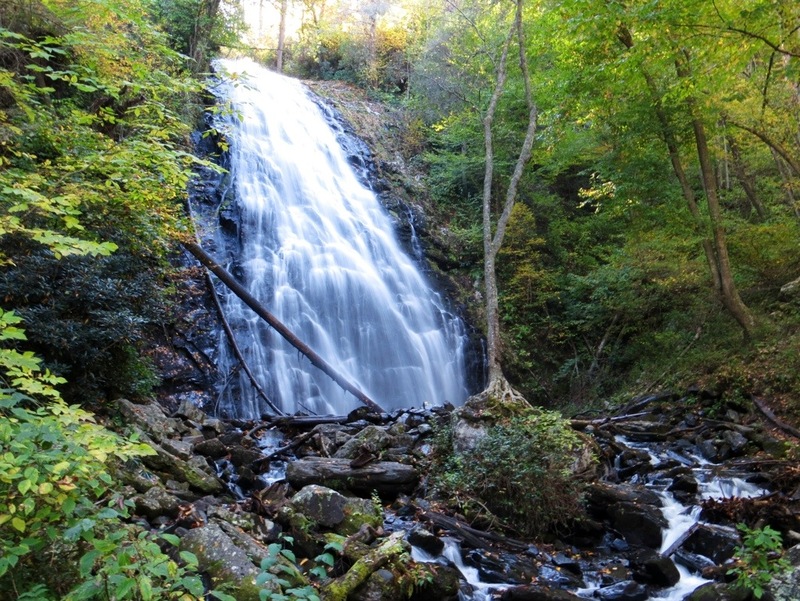 They help show the size of Crabtree Falls. Stay here for awhile and take this beauty in, because getting back is where the work begins. 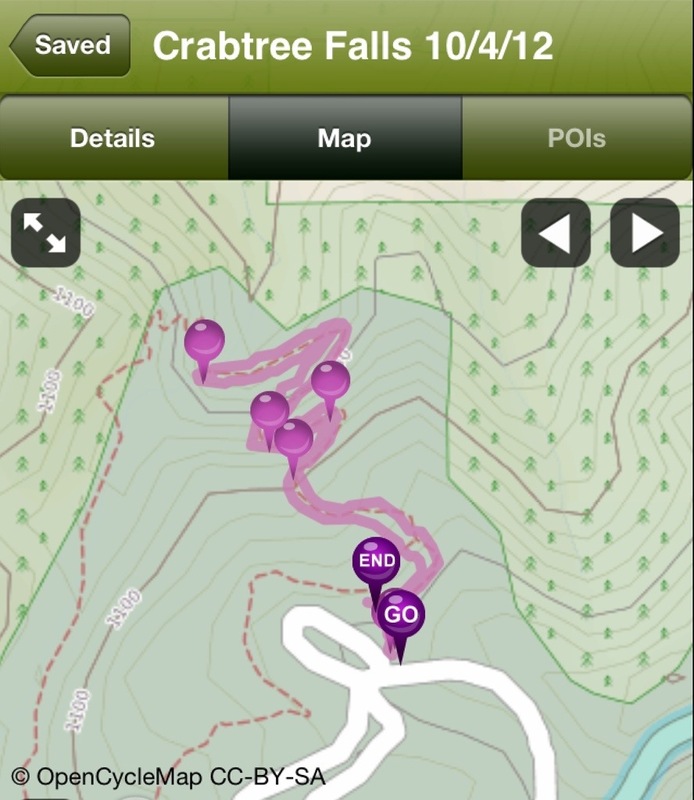 Once it is time to leave, you have two options: return the way you came for a 1.8 mile out and back, or stay on the trail, cross the creek to make the 2.7 mile loop. Both ways include some serious leg burning climbing. The loop way has some additional pretty views of the creek including a few small cascades. There is actually a third option, a trail that continues down into the woods, but I have no idea where that ends up. Having more waterfalls to see on this day and not much day left, I chose the 1.8 route and went back the way I came. It is a strenuous 0.9 back to the trailhead.